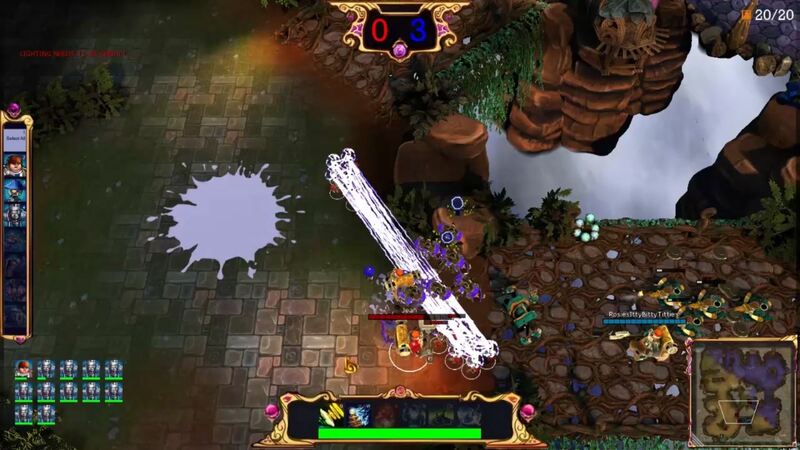 The Maestros is an upcoming online multiplayer RTS (Real Time Strategy) game set in a humorous fantasy world where you control a commander and a squadron of wildly cuddly and mildly vicious minions. Play as either the dieselpunk Knights of Teutonia, or the futuristic Alchemists of Genoma, and transform your minions on the fly in battle to out-wit your opponent. The Maestros was the brain-child of myself and my two friends and teammates, James & Brian. As competitive gamers ourselves, the Lead Designer, James, and I wanted to make a multiplayer game that was competitive and fast-paced. As a long-time RTS player, I had suffered to bring friends & family into the genre due to the complexity of most of its games. I wanted to make an RTS that kept the strategic elements, but simplified the systems to allow new players to pick up the game more easily. The concept was refined over a couple of months in early 2013 while the 3 of us worked on finishing Core Overload. In late January of 2013, the first handful of our team members banded together to make a prototype for the game at the 2013 Global Game Jam. The prototype was done in an old-school game engine called SpringRTS Engine, loosely based off of the decade-old Total Annilation engine. 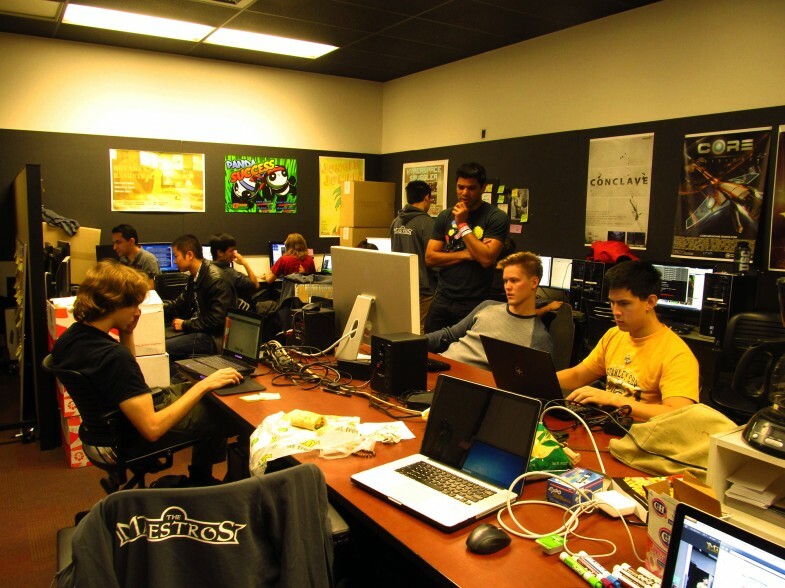 After a very competitive pitch process, The Maestros was accepted into USC’s “Final Games” program in May of 2013. The game would be made over two semesters, from September 2013 to May 2014. We would use the (much more modern, albeit less genre-appropriate) Unreal Developer’s Kit, and we had the whole summer for the existing team to buff up on it, and to recruit the rest. And we did just that. By the end, 15 programmers, 5 designers, almost 20 artists from around the world as well as a handful of other devs were brought on. Floating at around 45 strong, it takes some work just to keep the ship afloat, but the team is very driven and self-motivated. After an incredibly rewarding stint over the summer as an engineering intern at Riot Games, I decided to stay on part-time throughout the Fall semester of school to help my team at Riot finish a feature. In addition to 20 hours of work, 10 hours of travel, and running a 45-man dev-team on the side, I also had my course load to worry about at school. While choosing to stay on for the semester definitely caused its share of stress and sleepless nights (I literally forgot to show up to a midterm exam >.<), I wouldn't trade the experience for anything. The journey has definitely been rocky. While we cruised into the semester like a well-oiled, well prepared machine, we hit the rough spots right in the heart of it. The enormity of the engineering challenge we took on revealed itself in all the nastiest ways. Networking bugs, AI behavior issues, and usability concerns sprawled out of every corner. When the game reached the point it should have really been playable feature-wise, we were creating bugs at no less than twice the speed we could fix them. The professors that we so respected told us flat out that the game was not fun to play - and they were right. We saw the issue too. It was a lot of flawed code that was too buggy to let the gameplay shine through. At that point, something really had to give for me. I backed off on my hours at work, and I spent 4 straight days in the code fixing bugs and encouraging the rest of the engineering team to do the same. The turn-around was really heartening - in less than a week (they're regular checkup interval) we called the professors back to see our progress and show them we meant business, and they recognized the change. The big show for Final Games is called Demo Day, and there’s one in December, at the mid-way point, and another in May, when we finish. Our program invites about a hundred industry persons from all over the country to come play the games, give feedback, and (of course) recruit. At that point, our game was better, but we hadn’t played matches that just felt great yet, or that we could all enjoy. And Demo Day was closing in quickly. I think it was 2 weeks before the date when “The Moment” happened. We had just gotten all of the character’s special abilities finished, and we jumped in a game together. About halfway through the match, a big battle broke out with all 6 players, and one of the designers, Jean, comes in with an army of units we call Conductors – basically Tesla coils on unicycles. Their special ability is that they will instantly send a lightning bolt between themselves and all other Conductors within range, each for a pretty decent amount of damage, but the theoretical damage created by a large group is enormous as you might imagine. Anyways, with the maximum amount of Conductors, Jean lines up two posts like an electric fence and instantly zaps the player inside, in what we now fondly call “getting Conductor-Sniped.” The room of people basically erupted, including myself. James and I just looked at each other like, “Hey, we did it. It’s about time.” We had basically reinvented and repurposed the headshot into an RTS game. For a bunch of students wanting to make a game that felt competitive and tense, this was it. This is the actual moment I described, we were lucky enough to catch it on video. The next two weeks were a blast. Nose to the grindstone, 40 hour working weekends, but so much fun playing the game too. The room was constantly loud from there on out. The other team that shared our lab space was making this really great atmospheric game, a lone person roaming a ruined city – very quiet, very evocative. And there’s Team Maestros banging desks and screaming at every kill. I tried my best to keep the team quiet for them, but I even found myself making a bit of a ruckus. That’s just what we were shooting for, and it’s so exciting to finally have it. I remember one night during “crunch” as the days leading up to a deadline are called, a lot of us stayed late playing the game and iterating on balance. “One more game” went on until 5:00 am sharp when maintenance literally powered down the entire building mid-match. The reception at Fall Demo Day was very positive, and the whole team was proud of what we’d accomplished. We put out a “Friends & Family” release of the game that we had a lot of people play and give suggestions. The best part for me is that we’re only halfway there. We’ve got four whole months left to work. It’s great to have time to gather up all this feedback and make the game even better for next time. Our next stop is The Maestros’ recently announced trip to San Francisco to be a part of GDC Play for 2014!